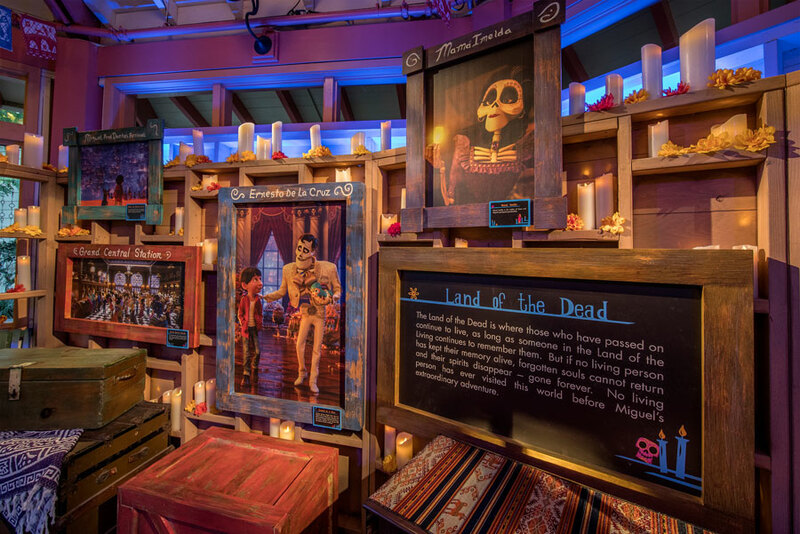 From September 7 until November 2, the Disneyland Resort will be hosting limited-time experiences that are inspired by Día de los Muertos. 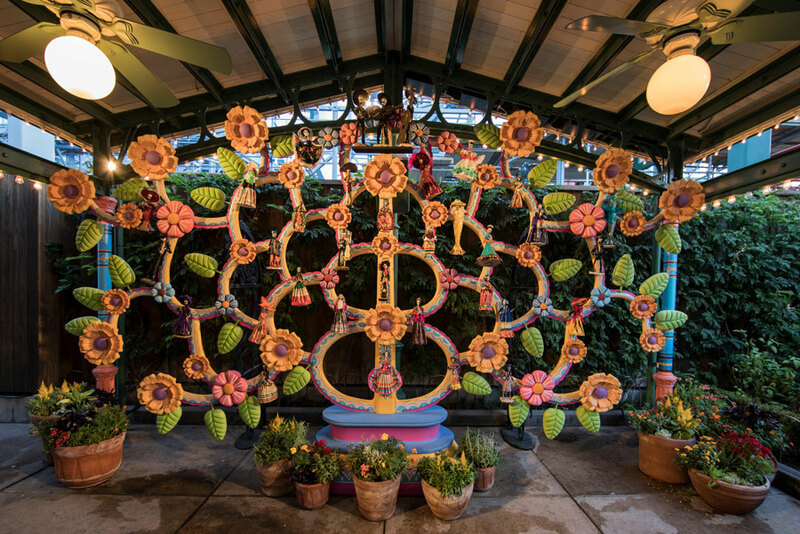 According to the Disney Parks Blog, Disney California Adventure park will be bringing back Plaza de la Familia, a celebration of Disney•Pixar’s Coco, at Paradise Gardens, which was a popular offering last year. Here guests can interact with a Memory Wall, take their photo at the Mexican Árbol de la Vida (Tree of Life) photo spot, and craft their own mask that portrays their alejibre or spirit guide. During the festivities, Paradise Gardens Grill will be serving Mexican food. The Paradise Gardens will also be hosting a Mariachi band. 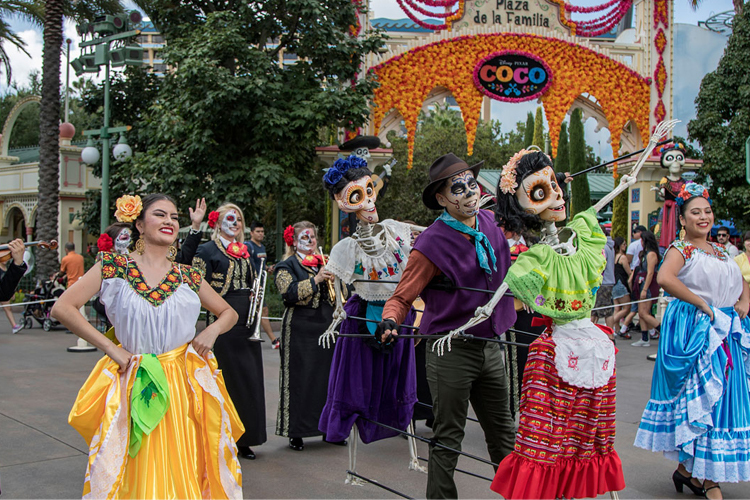 Throughout the day there will be A Musical Celebration of Coco, which brings together the Storytellers of Plaza de la Familia and the Mariachi Divas. This year “a whimsical, hand-crafted” styling of Miguel will join the music and dancing. In Cars Land guests are encouraged to visit the ofrenda, which is a remembrance altar of Doc Hudson. The ofrenda for Doc can be found at Ramone’s House of Body Art.